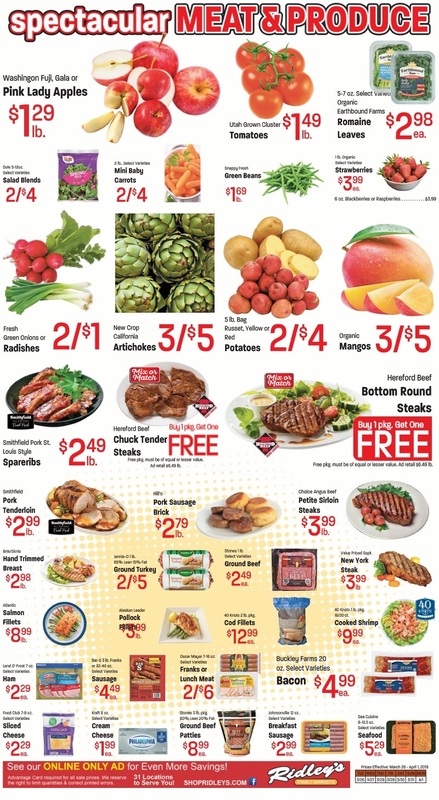 Find the current ⭐ Ridleys Ad 4/2/19 - 4/8/19 and save with the latest deals for the week. 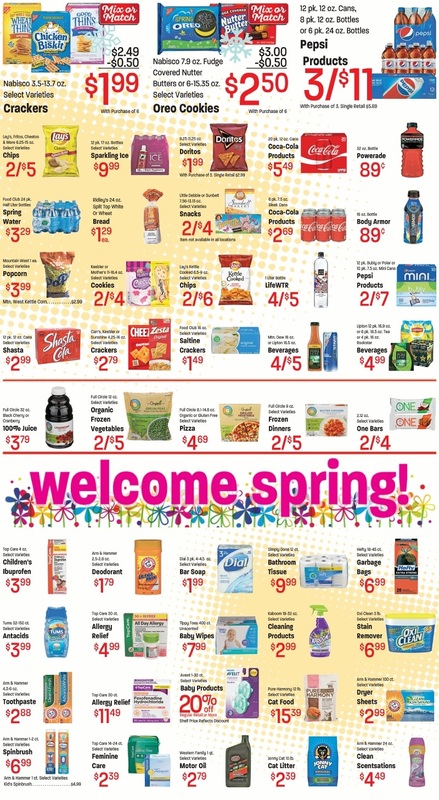 Browse the ✅ Ridleys Weekly Ad April 2 - 8, 2019 by this post and create a shopping list. 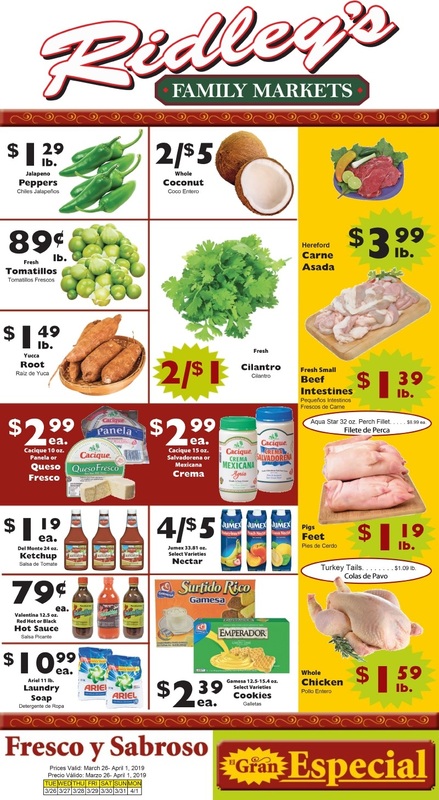 To save more at Ridley's Family Markets, don't forget to find the latest coupons and check out weekly specials and web only specials. Also, check all items with low prices in the store departments such as Meat, Produce, Bakery, Deli, Pharmacy, Floral and others. Ridley's Family Markets is a family-owned chain of grocery stores based in Jerome, Idaho, United States, with multiple locations around the Intermountain West. 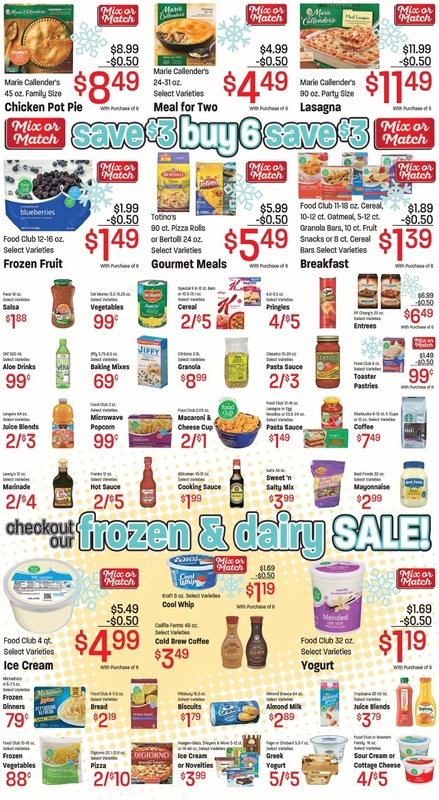 On the Ridleys Weekly Specials you'll find weekly deals and you can save more with gift cards. The Ridleys Specials valid for Kuna, Pocatello, Weiser Idaho, Casper WY, Middleton, Utah, Eagle Mountain and other region. 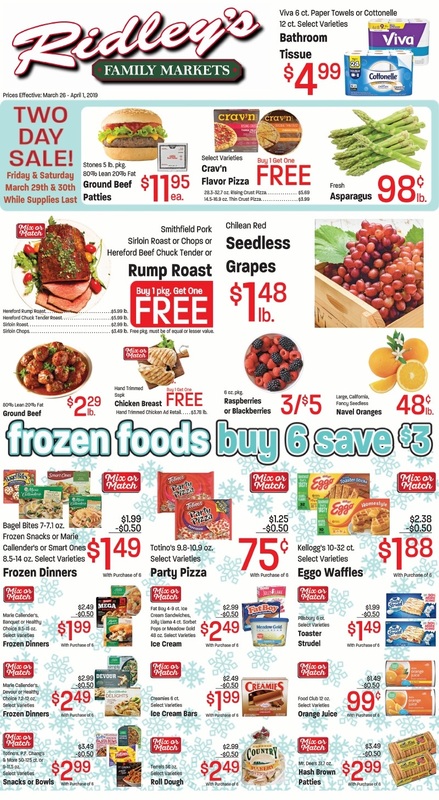 Open official site of Ridley's Family Markets and sign up to receive your weekly ad via email and receive a coupon for great deals of the week.